What’s scarier than Ghouls and Goblins at Halloween? 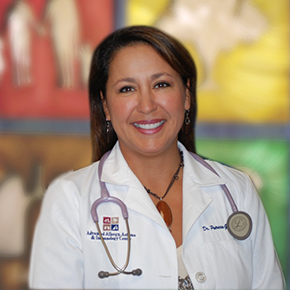 A candy basket, can be, when you or your little monster has a potentially fatal food allergy. 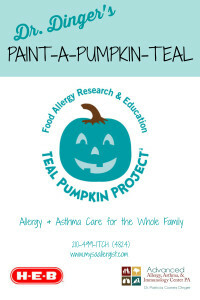 Something as simple a candy wrapper that slightly open amid a bowl full of treats is a trick no parent of a child with a food allergy wants his child to come into contact with. 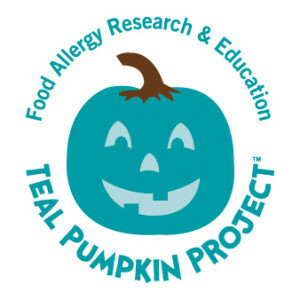 That’s why the Food Allergy Research and Education (FARE), created The Teal Pumpkin Project in 2014, a national campaign that aims to raise awareness of food allergies and promote inclusion of all trick-or-treaters throughout the Halloween season. The Teal Pumpkin Project encourages you to join the more than 100-thousand households across the U.S. in providing non-food treats for trick-or-treaters and paint a pumpkin teal to place in front of your home, along with a free printable sign. 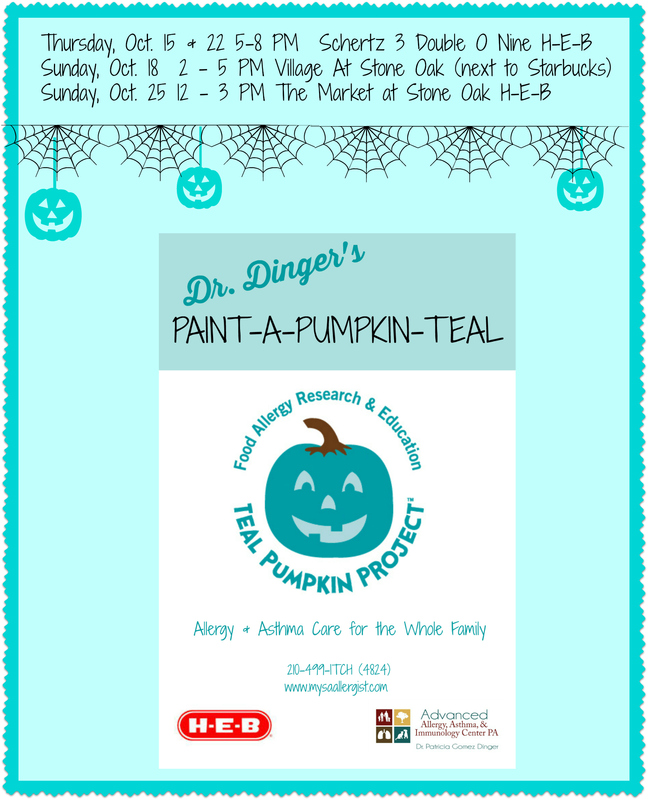 Our “What ifs” turned into “Let’s do” in the creation of Dr. Dinger’s 1st, (and hopefully annual) Paint-A-Pumpkin-Teal Event! Wondering what makes a good non-food treat? Here are some great ideas from FARE! 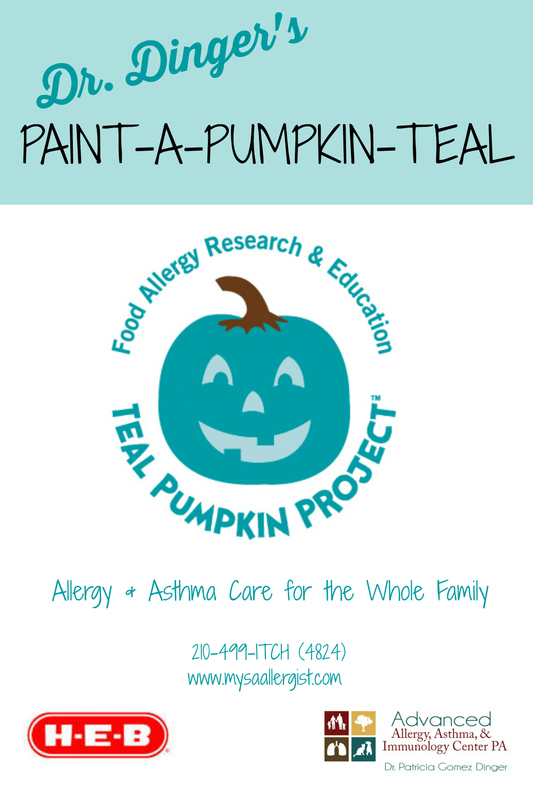 From all of us at Advanced Allergy, we thank you in advance for your support of FARE, The Teal Pumpkin Project, and our Paint-A-Pumpkin-Teal Event.